The senior leader had embarrassed his party with a remark disapproving the sea burial of al-Qaeda chief Osama bin Laden. 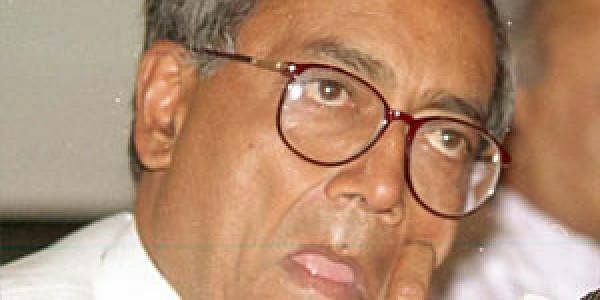 NEW DELHI: Embarrassed over Digvijay Singh’s off-thecuff remark disapproving the sea burial given to al-Qaeda chief Osama bin Laden, the Congress on Tuesday quickly distanced itself from its senior leader saying that it was his personal view which was not being endorsed by the party in any way. “On the question of bin Laden and terror per say, we’ve repeatedly cleared our position which has been delineated and articulated. We’ve nothing further to say on the naturalisation of Laden,” the Congress spokesperson Manish Tewari said, rhetorically adding that “if you sow wind, you reap whirlwind”. Speaking at a book release function, Singh has said that “however big a criminal one might be, his religious tradition should be respected while burying him”. Singh himself defended his remark on the ground that he said what he meant in reply to a specific question put to him and that he stands by it. But his party elders seemed quite miffed with him. One of them even accused Singh of “doling out quotes on every issue for personal political image building at the cost of the party” and often in “disregard to the view held by the party”. Virtually blaming him for courting controversy time and again, sources in the party said that he was “unnecessarily communalising” the Osama issue “even though the Indian Muslims have welcomed the death of al-Qaeda chief in the same manner as the rest of the country”. Sources in the party also said that if Singh had wanted to make a point he could have picked on the wider implications of the US operation- that the US army had entered a sovereign country’s air-space and killed a criminal wanted in its country without involving the former in the operation. It was also suggested that Singh had been summoned to 10 Janpath by the Congress president Sonia Gandhi for dressing down and to get him to take back his controversial comment.